How to unlock Nokia 2730 Classic by code ? Unlocking Nokia 2730 Classic by code is the easiest and fastest way to make your device network free. It doesn't interfere in your system or change it in any way so even after using our code, you don't loose your warranty. In order to receive a network unlock code for your Nokia 2730 Classic you need to provide IMEI number (15 digits unique number). It can be found by dialing *#06# as a phone number, as well as by checking in the phone settings of your device. Nokia is a well know Finnish company that creates great phones. Unfortunatelly they tend to be network blocked. We have a perfect solution for this problem. Our network unlocking service for Nokia 2730 Classic. Why it is the best option ? For a very cheap price, you will get special codes to remove the network blockade. They don't change the system or install any new files so your phone is secured and won't loose warranty. Most important thing is to choose the correct network for your Nokia 2730 Classic. From the provided list of supported network you need to choose the one in which the device comes from, not the one you want to use. We understand that many customers buy a used device and don't know the exact network also they don't have a way to find it. That is why our website came up with a free network checking app for your Nokia 2730 Classic. For unlock Nokia 2730 Classic following options are available. If you don't know which option use for unlock your phone, please contact us. We will help you choose the right product for your phone. Very fast Efficient service , excellent price, easy to follow instructions. Highly recommended. Just unlocked a BB5 SL3 phone. Costumer service was fast and attentive. Keep up good work. Unlocking instruction for Nokia 2730 Classic ? The unlocking instruction for Nokia 2730 Classic is not very complicated, but you need to remember that you have only 3 tries to enter the codes. If you enter the codes incorrectly more than 3 times, the code counter might get blocked. 5. Message "SIM restriction OFF" should appear. Your Nokia 2730 Classic is now unlocked !!! Can I remove the network blockade by using a free unlock code ? Nokia 2730 Classic has only one correct unlock code. If you enter codes provided by free generators too many times, you can block the code counter in your device. Every Nokia 2730 Classic has a restricted number of tries to enter an unlock code. When the code counter gets blocked, you can loose a chance to unlock your Nokia 2730 Classic permanently, even when you use Nokia software. If your Nokia 2730 Classic has a network blockade but you don't know in what network exactly, you can check it by using your phone's IMEI number. Only thing that you need is this link Network and warranty check for Nokia 2730 Classic, enter your Nokia 2730 Classic IMEI number, after a few seconds you will receive information about carrier, country and warranty status for your NOKIA 2730 Classic. Czas realizacji zamówienia krótszy ni¿ zak³adany. Odblokowanie simloka przebieg³o bez najmniejszych problemów. Polecam us³ugi Simlok24.pl. Fantástico,al primer intento,salió todo correcto,gracias. Der Entsperrcode für ein eher seltenes NOKIA 2730 war in wenigen Stunden da. Entsperrung auf Anhieb geklappt. Bin sehr angenehm überrascht. Gern wieder. hola el codigo no me ha servido gracias. Excelente servicio, antes de lo que dicen te llega el codigo, muchas gracias. US£UGA WYKONANA BARDZO SZYBKO I BEZ ZASTRZE¯EÑ. OTRZYMANY KOD ODBLOKOWA£ TELEFON BEZ PROBLEMU. POLECAM TÊ FIRMÊ. MULTIPOZYTYW. Szybko i solidnie za³atwiona transakcja.Polecam. Zamówienie zosta³o zrealizowane szybko i solidnie.Gor±co polecam. nie pierwszy raz usuwa³em tutaj simlock i mogê powiedzieæ jedno 100% zadowolenia. 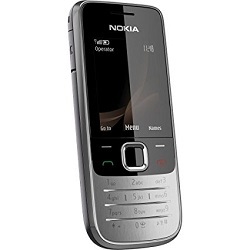 Nokia 2730 Classic. 28 godzin oczekiwania, czyli ca³kiem szybko. Kod dzia³a. Do¶æ drogo ale za to pewnie. Wszystko odby³o siê zgodnie z umow± i otrzyma³em kod przed deklarowanym terminem. Operacja wpisania kodu i usuniêcia blokady to tylko chwila. Telefon dzia³a. Dziêkujê. Jestem zadowolony z us³ugi, po mimo d³ugiego czasu oczekiwania.